Prime Minister Narendra Modi said on April 13, 2017, that from now on, women will have the liberty to choose between keeping their maiden name or husband’s surname in the passport. The ’choice‘, however, has been in existence for decades now. So what’s new this time? Apparently, nothing. 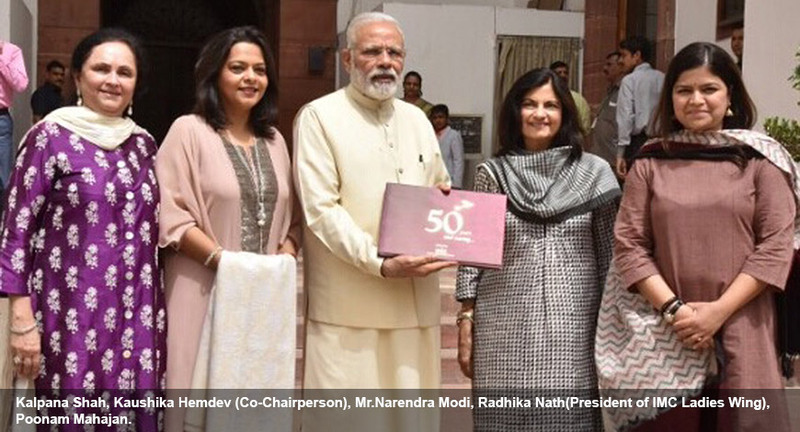 While addressing a conference celebrating 50 years of The Ladies’ Wing of the Indian Merchants’ Chamber, the Indian Prime Minister, Narendra Modi spoke extensively on the initiatives undertaken by the government for women empowerment, he said, “From now onwards, women do not need to change their surname in passport after marriage. It will be her choice to keep her mother’s name or her father’s name.” He also added that they will not need to produce their marriage or divorce decrees for applying for passports. The hashtag (#WomenEmpowerment), started trending soon after his speech. While many men and women applauded the progressive statement by the Prime Minister, others took to social media to highlight how they have been using their maiden names in their passport for years now, without encountering any major problems. “The provision has always existed and there is nothing new about it. Women in India have always had the freedom to choose whichever surname they wish to keep,” Dr Ranjana Kumari, Director, Centre for Social Research, informs Media India Group. Dr Ranjana Kumari herself has no last name, and her kids have a different last name than their father. In fact, the instruction booklet available at the official passport website of India elucidates the question. Part B, column 2.3 of the booklet details guidelines for change in name, and requires the applicants to check the ‘Yes’ box stating, “This will be applicable to an applicant who has even marginally changed the name or a female who has changed her name or surname after marriage.” This implies that a woman who has retained her maiden name after marriage is not bound to get her surname changed in the passport. However when Prime Minister Modi announced that women will no longer have to present their marriage or divorce certificate, he could have been referring to a notification by the Ministry of External Affairs, dated December 23, 2016, which did away with the Annexure ‘K’ requiring married applicants to produce marriage certificate. The passport application form doesn’t even require the applicant to provide the name of the spouse in case they are separated or divorced. Changing surname post marriage in India is customary, but not legally binding. However, given the rampant naturalisation of this custom, a huge majority of Indians might not even be aware of the possibility of keeping one’s name after marriage, opines Dr Ranjana Kumari, who also adds how in some states like Punjab, sometimes a woman’s in-laws might also force her to change even her first name. “However, the Prime Minister speaking about an already existing provision will create more awareness about it,” says Dr Ranjana Kumari. Now that the media is discussing it, many Indians are hoping to be spared from the harassment by the often ill-informed personnel at the passport offices, other government institutions or banks, who would declare it necessary for a woman to take her husband’s last name. Benefits of reiteration aside, ultimately the announcement is a fully functioning rule in our country that has been utilised by multiple women, so once again no concrete steps have been taken to further women empowerment in the country.